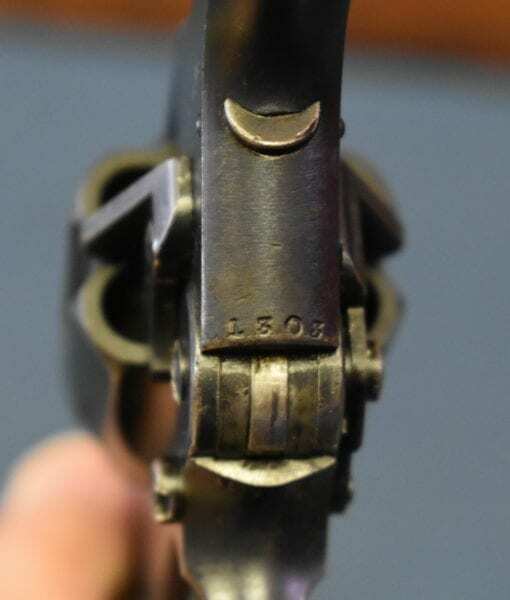 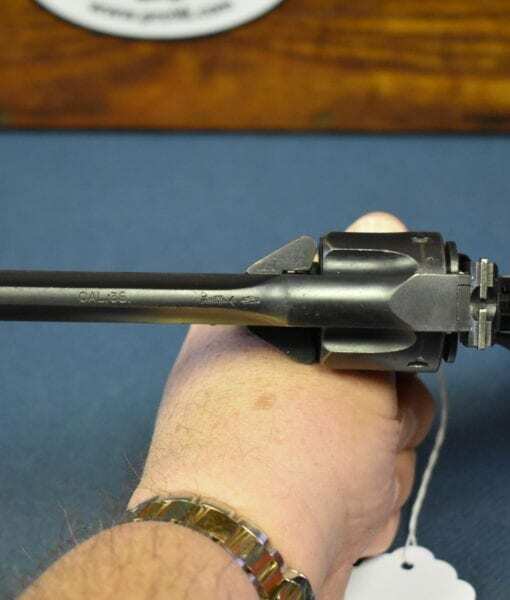 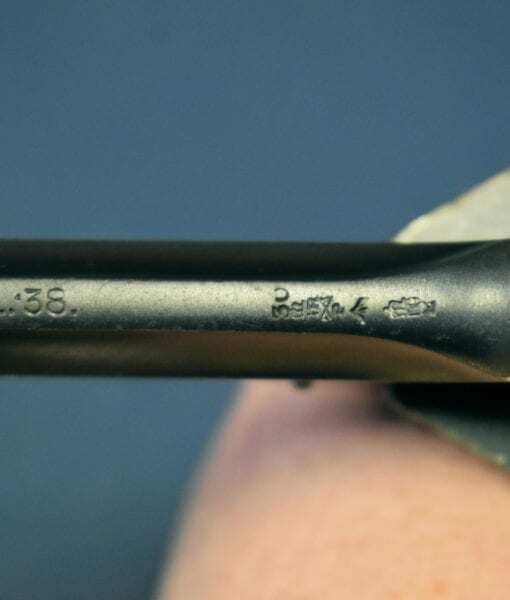 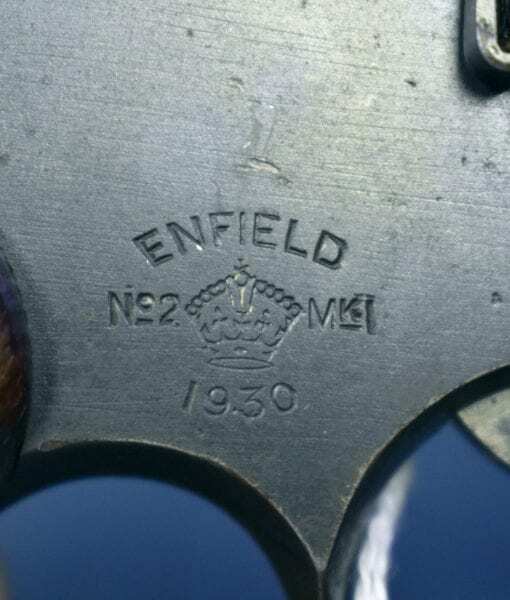 IMPORTANT 1930 ENFIELD No2 Mk1 SERVICE REVOLVER…….1ST YEAR PRODUCTION TRIALS PISTOL #1303……VERY SHARP! 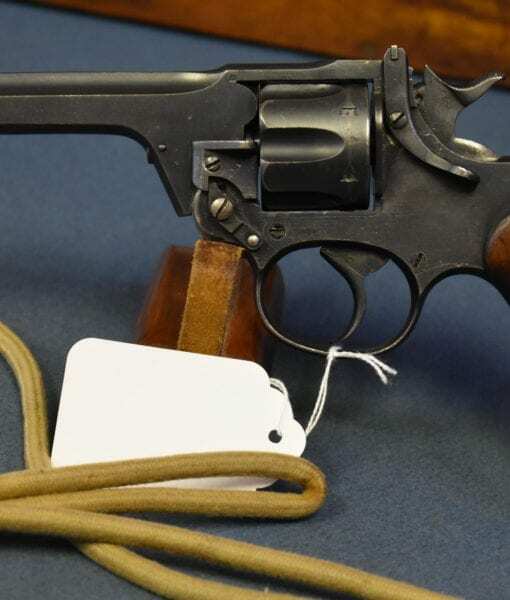 In 96% original all matching condition, we have an extremely scarce, very early production (#1303) 1930 dated Enfield No2 Mk1 .38inch Service Revolver. 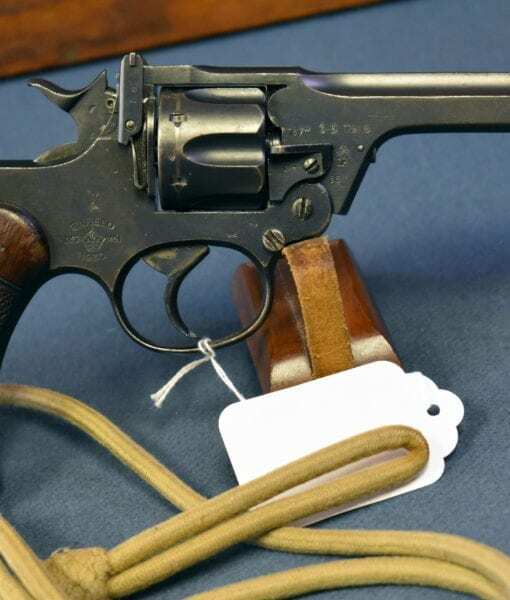 This revolver was assembled in 1929 and it has the very early rear sight with the removable blade feature, which was deleted in the regular adopted design of 1931. 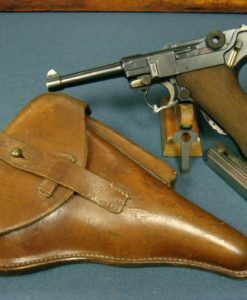 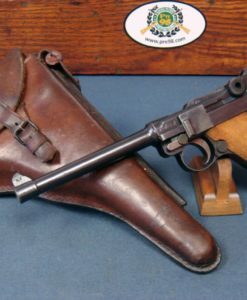 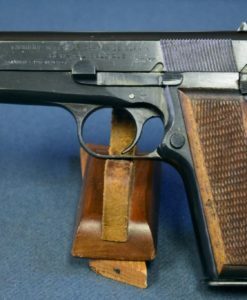 This is a very important design in British small arms development as it was the handgun chosen to replace the venerable and legendary Webley .455 caliber man stoppers of Colonial and WWI fame. 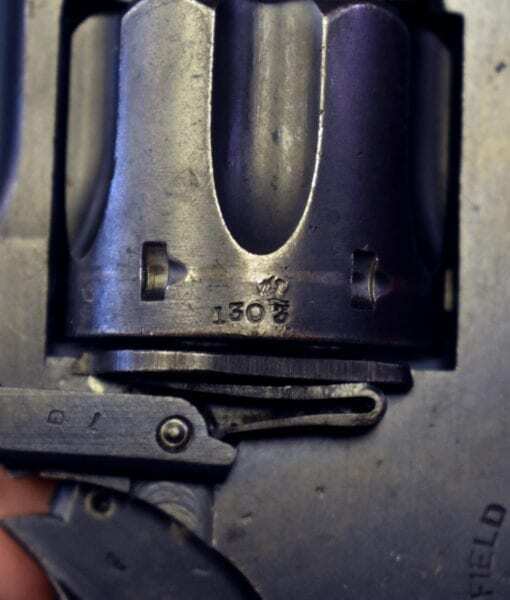 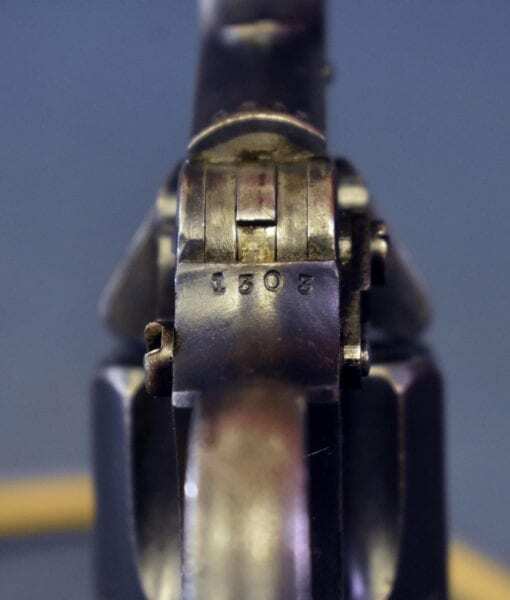 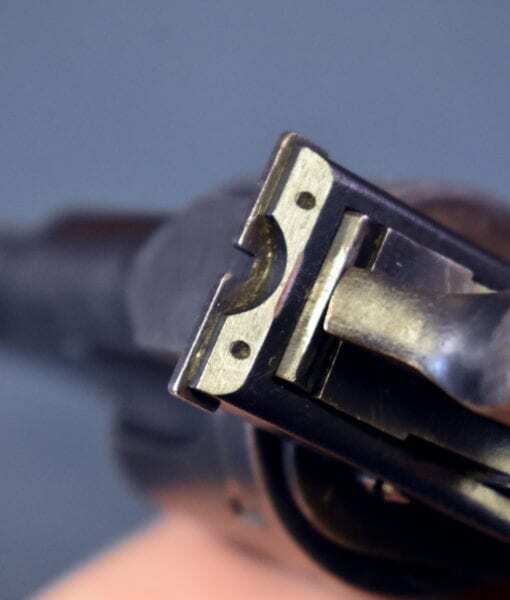 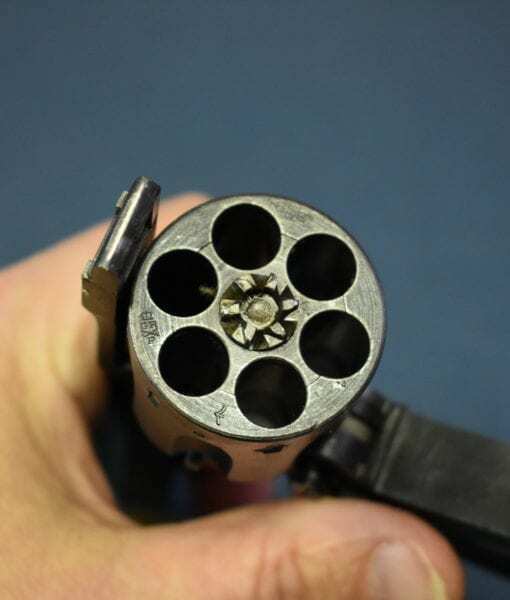 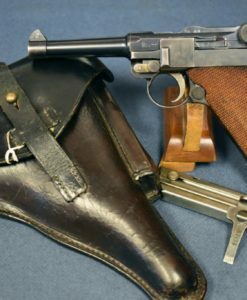 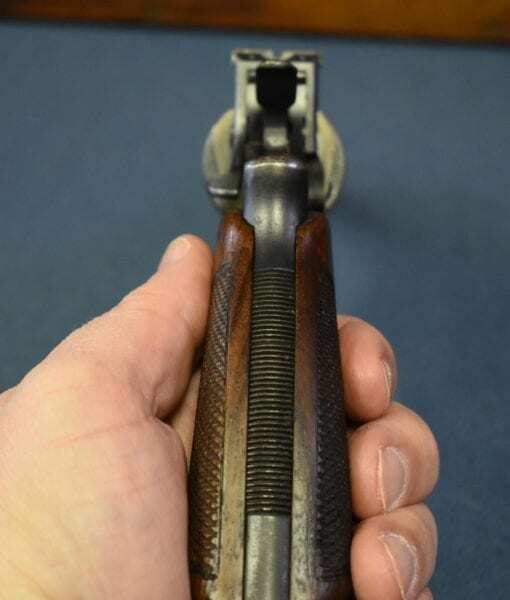 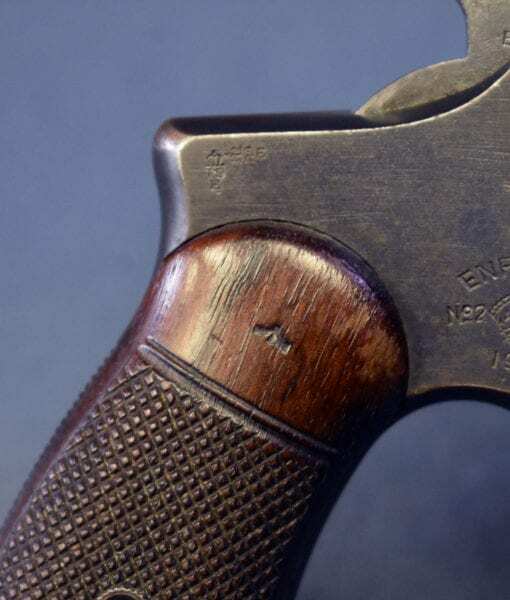 It was determined by the British that the smaller caliber .38 inch round with a 200 grain bullet loading was just as effective a stopper and was much easier to use by the average soldier. 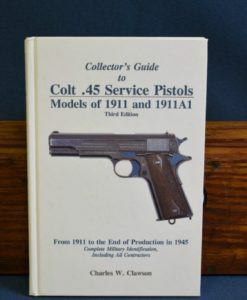 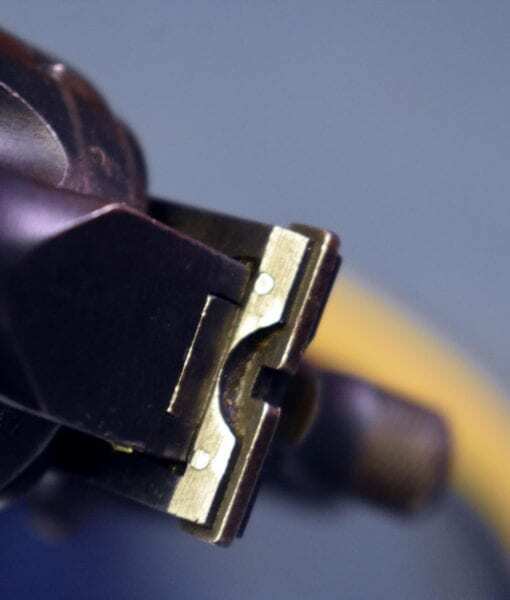 This was the theory at least, reality proved otherwise in service use. 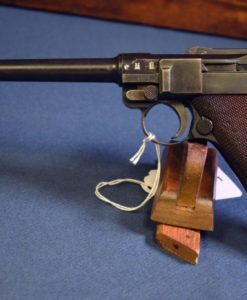 Less than 2,000 of this very early variation were produced so finding this completely intact variant is almost unheard of. 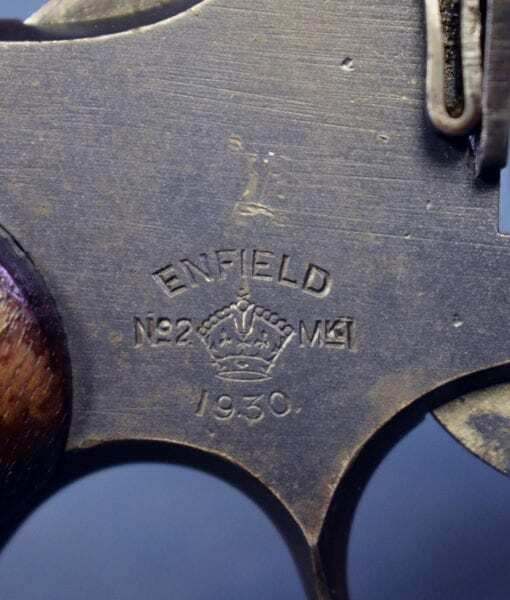 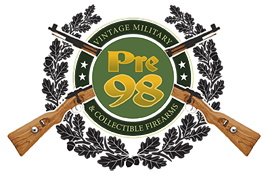 If you collect British WW2 era military arms this is a very significant find few collectors will ever get the chance to own as these early 1930 dated revolvers just do not exist.